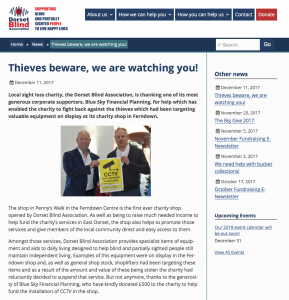 Blue Sky Financial Planning / Company News / Thieves beware, we are watching you! 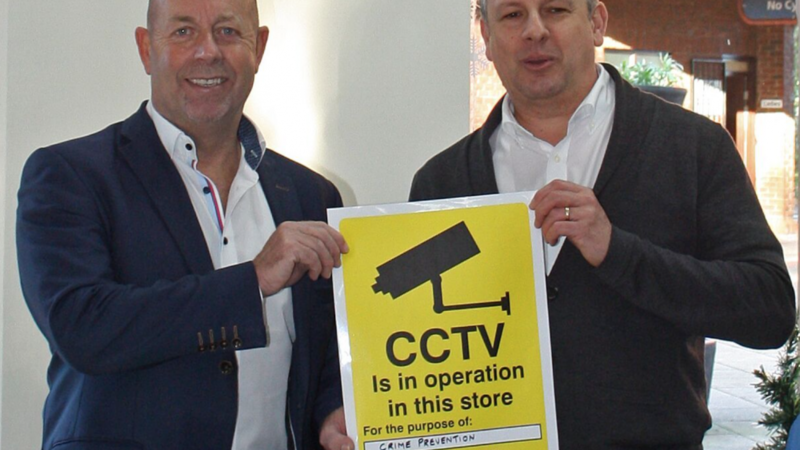 Thieves beware, we are watching you! 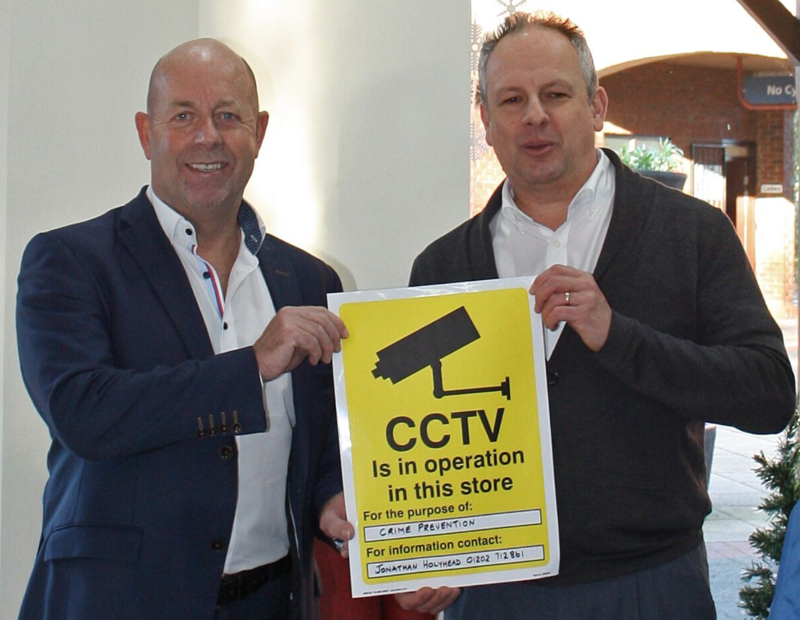 We are very proud of our work with the Dorset Blind Association… and this week we helped fight back against the thieves which had been targeting valuable equipment on display at its charity shop in Ferndown.